Texwipe offers custom-designed, pressure sensitive labels for any cleanroom or controlled environment. 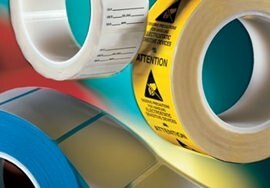 Our labels can be customized with various label stocks, print options, adhesives and sizes to meet your cleanroom application. Texwipe cleanroom labels are constructed of durable face stocks coupled with acrylic based adhesives to create a reliable, chemical resistant label for critical environments and applications. Texwipe's cleanroom labels are cleaned and packaged in a controlled environment. Please contact your Texwipe Regional Sales Manager or Texwipe Customer Service (800-839-9473) for additional product information.